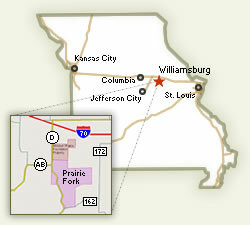 Click on the map at the right for a detailed locator map. 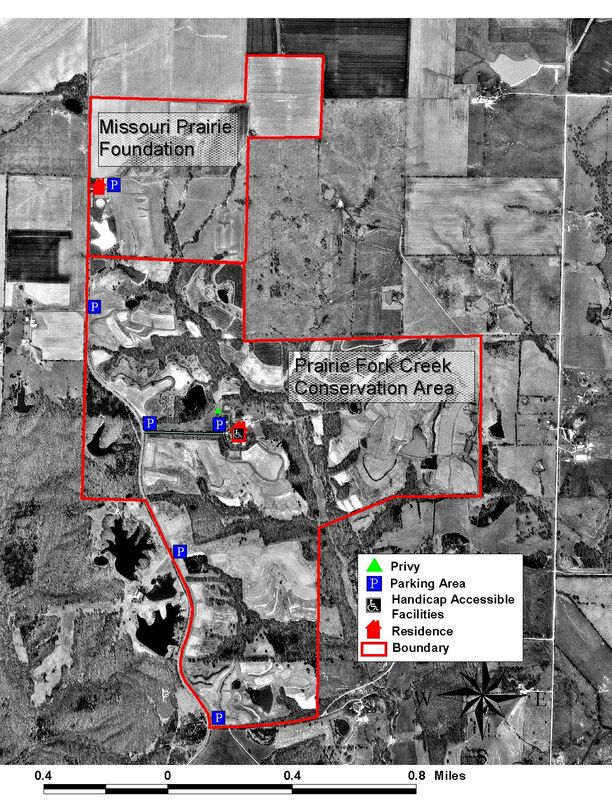 Or click here for an aerial view of Prairie Fork. Exit Interstate 70 at the Williamsburg Exit (Exit 161). Take State Route D North into Williamsburg (0.4 miles) and follow Route D as it turns west (2.3 miles). Route D will turn south and cross Interstate 70. Stay on Route D for 1.9 miles. The main entrance road into Prairie Fork will exit to the east off of Route D.